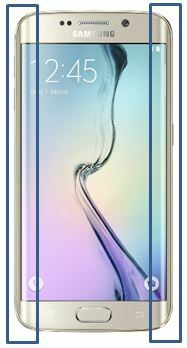 [Galaxy S6 EDGE] Is device fault when the device does not respond on the edge of screen? The device is not faulty. it’s designed that unrecognized part is intentionally placed on edge of screen. which are outside of the touch input area. But this is not device faulty but normal operation.